It's summer and that means ice cream, gelati and other frozen treats. Gelatissimo is celebrating with the launch of a brand-new flavour, Sunkissed Coconut and it's free. On Saturday 2nd December, they are very generously giving away a free scoop of the yummy new flavour in a bambino cone in Brisbane and Sydney. Watch out for their food truck. 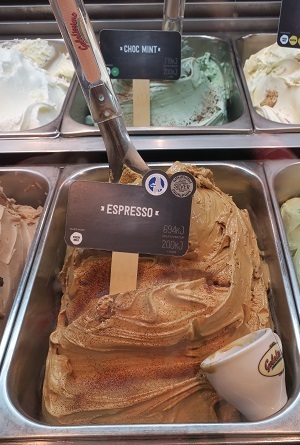 They are calling it "Gelatissimo Day" - how cool is that? Gelatissimo has partnered with Reef Oil (yes, of the sun tan oils) and created a flavour that tastes like the summers of my childhood. Coconut oil is the essence of summer to me. I had a sneaky pre-release taste and I can say that the new coconut sorbet is smooth and cool. It's made with coconut water and is 100% plant-based making it suitable for vegans. 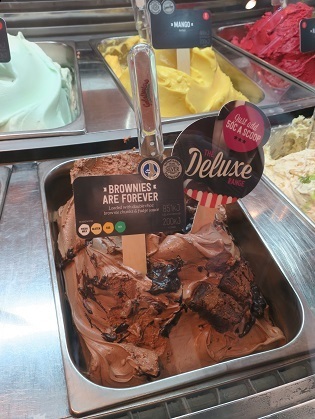 Like all of Gelatissimo's flavours, it's made fresh in store and it doesn't contain any artificial colours or artificial flavours. Check out WeekendNotes Gelatissimo Day. 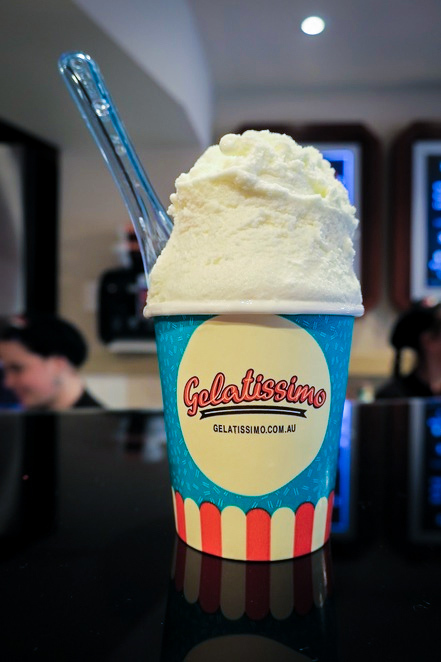 The new flavour will be available for a limited time in Gelatissimo shops around Australia. For more information click here. This is my local and the staff are lovely. 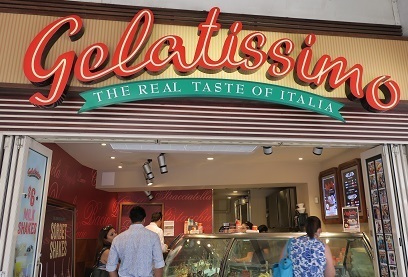 Gelatissimo began in King Street in Sydney in 2002 and has built up a cult following around Australia. They now sell in several countries and are continuing to grow in popularity. They have won many awards in Sydney, as well as in Queensland and in Australian-wide competitions. They even have a Club Gelato you can join. But believe me they are all good and you will have trouble choosing. I like that they have had fun with some of the names too. What's my favourite flavour? 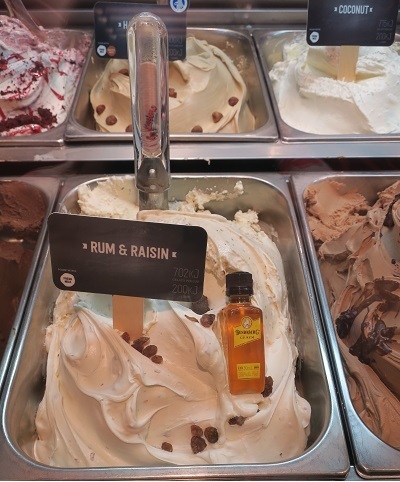 Rum and Raisin - I'm a Queenslander (think of Bundy Rum, mmmm). 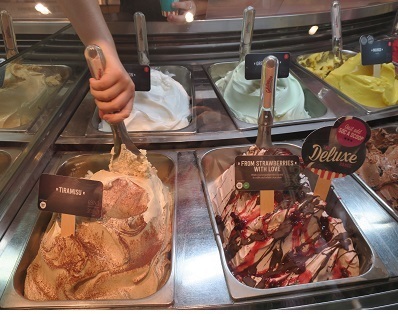 Are you unsure whether it is gelati or gelato? 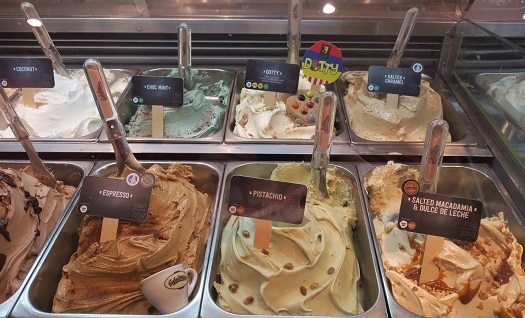 Gelato is an Italian ice cream and means "frozen"; and gelati is simply the plural. Easy. 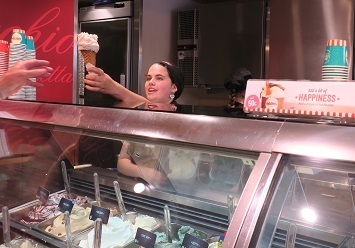 I rarely say gelato - because I want more than one! Gelato has long been known as Italian ice cream, but what you may not know is there are actually many differences between the two. One of the main differences is that gelato generally contains less fat than ice cream, as gelato uses whole milk while ice cream is made with cream. This means you can have more gelato, and isn't that reason enough to choose between the two? and that's kind of the same thing."